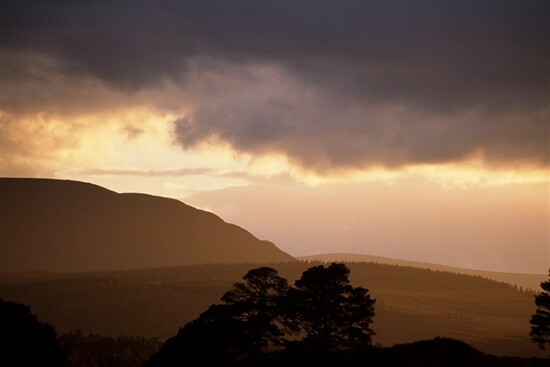 The Endangered Landscapes Programme (ELP) recently announced a £3.75 million grant to support the Cairngorms Connect project of which RSPB Scotland is a project partner. RSPB Scotland's Jennifer Mullen shares more about the project and how the support from ELP will help the project fulfil it's potential. We are thrilled to be involved with Cairngorms Connect - a partnership of neighbouring land managers, committed to a bold and ambitious 200-year vision to enhance some of Britain’s rarest and most spectacular habitats and species within the Cairngorms National Park. It is the biggest habitat restoration project in Britain, covering a vast 600 square kilometre project area which includes our Abernethy and Insh Marshes reserves. It was recently announced that the Endangered Landscapes Programme will be supporting the project with a £3.75m grant. The Endangered Landscapes Programme is funded by Arcadia, a charitable fund of Lisbet Rausing and Peter Baldwin. 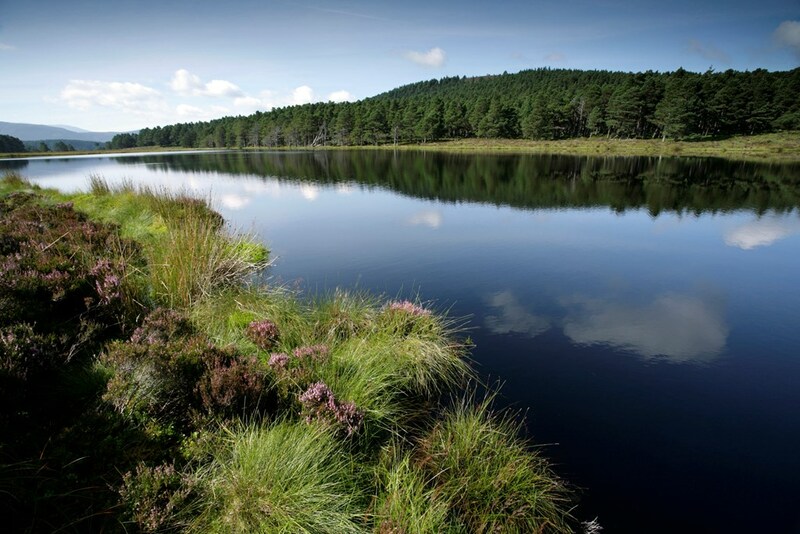 This generous grant will be added to funds from the project partners: RSPB Scotland, Wildland Limited, Forestry Commission Scotland, Scottish Natural Heritage and Cairngorms National Park Authority, meaning a total of £9m will be invested in this ambitious project. The project area is a breath-taking landscape of superlatives and a fantastic place for wildlife. It encompasses the floodplains of the River Spey, vast tracts of Caledonian pinewood, tranquil lochs, expanses of open moorland and rises to a sub-Alpine plateau at over 1,300m above sea level – the second highest summit in Britain. It is home to half of the nation’s population of lekking capercaillie – a priority species for the project as they are now at a real risk of extinction. It is a place where white-tailed eagles soar and ptarmigan dwell. Crossbills, dotterel and a vast array of rare plants and insects can all be found there. Over the centuries, the land use requirements of farming, commercial forestry and field sports have left their mark on this unique landscape. Funding from the Endangered Landscape Programme will help us to reverse these impacts, restore this vast area to its original wild landscape and help native animals and plants thrive. People near and far will be able to enjoy the areas dramatic landscapes and extraordinary wildlife. We, and our partners, are excited to work with committed people on this project. We want to inspire fresh thinking about how a healthier, natural landscape can build strong, economically vibrant local communities where – alongside new business models – sustainable agriculture, forestry and deer management still have an important role to play. We are excited to build opportunities for understanding and involvement from communities locally, nationally and internationally. Milestones for the project over the next 200 years include: restoring native woodlands to their natural limits, restoring blanket bog, re-establishing amazing bog habitats for wildlife and for storing carbon, and restoring wetlands and rivers to enable more natural waterflow and to reduce downstream flood risk. Jeremy Roberts, Senior Site Manager at RSPB Abernethy reserve shares his thoughts: “This funding is a much needed, enormous boost to the Cairngorms Connect project. It is a great moment for habitat restoration in Scotland. It sets us firmly on our pathway to restoring the natural ecology of the Cairngorms. But it’s also much more than that: it is a vindication of the project vision, and confirmation of the area’s significance in the European realm of environmental restoration. It demonstrates the importance of Scotland’s uplands for wildlife, of the Cairngorms National Park, and of the role we all have to play in order to fulfil the potential of this magnificent landscape – for the benefit of its rare wildlife; for the people who live here, and for those who come to enjoy it." Work is expected to begin in February 2019. For more information on the project, please click here.